Originally from Delaware, Neil has been a resident of Chester County since 1980. Neil is a graduate of both Indiana University (Bloomington, IN), and Widener University School of Law. He was admitted to the Pennsylvania and New Jersey bars in 1993, and currently maintains his Pennsylvania bar membership. 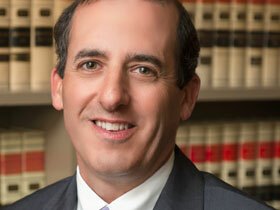 Neil is a member of both the Chester County and Pennsylvania Bar Associations. After joining the Brutscher, Brutscher & Foley firm in 1993, he became a partner in 2004. At that time, the firm changed its name to Brutscher, Foley, Milliner & Land, LLP. Neil’s legal practice areas include business law, including entity formations and dissolutions, business transactions, advisement and litigation, estate planning and administration, Orphans’ Court matters and litigation, real estate and zoning law, subdivision and land development, landlord and tenant, and general counseling and litigation. He currently represents several township zoning hearing boards in the county, and is the solicitor for a building codes appeal board. Neil is a former solicitor for both New Garden Township and the New Garden Township Sewer Authority. Neil is also solicitor for numerous homeowners and condominium associations. Since coming to the Kennett Square area, Neil has been involved with many community groups, including the Kennett Area Senior Center, St. Patrick’s School and CYO and the Kennett Area YMCA. He has also served as a member on the zoning hearing boards of both Kennett Township and the Borough of Kennett Square, Neil also regularly contributes to various local groups, such as the Kennett Area Park and Recreation Board, the Gabriel DeVitto Memorial Paddle Tournament, the Italian American Citizens League and the Willowdale Steeplechase. Neil and his family enjoy spending time together including doing things such as skiing, boating, golf and platform tennis at the Kennett Square Golf & Country Club, where he continues to serve on various committees.